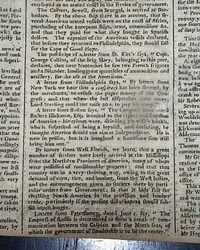 THE MASSACHUSETTS CENTINEL, Boston, Oct. 18, 1788 Page 3 has an item from Philadelphia beginning; "The celebrated author of Common Sense says true when he says that..." (see). 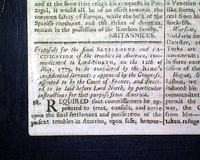 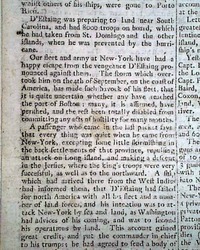 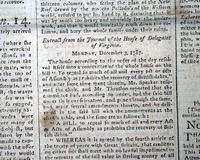 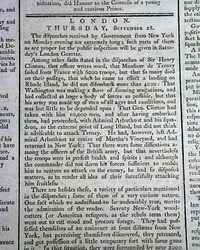 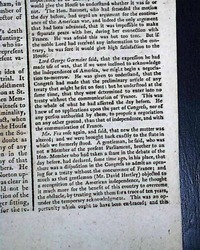 Also a report from New York concerning treaties with the Indians, plus a letter from Gov. 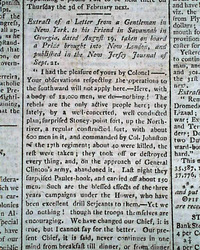 St. Clair concerning an attack by Indians upon the federal troops. 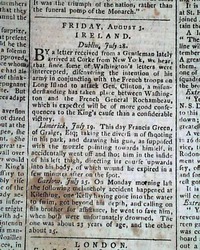 * Georgia to leave the cause ? 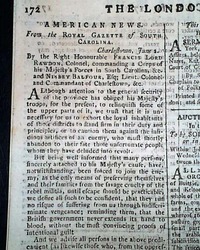 * Revolutionary War peace plan ? 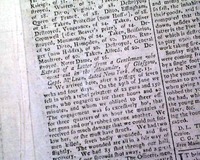 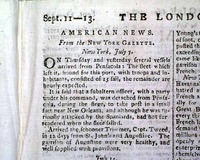 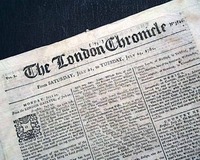 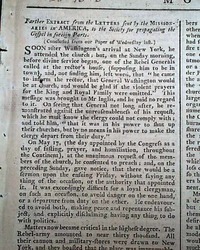 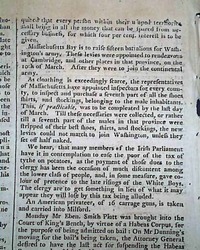 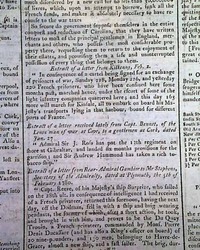 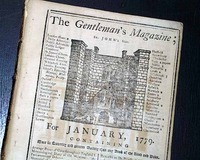 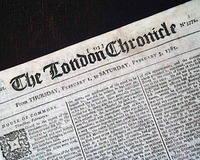 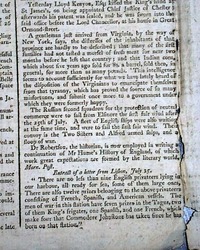 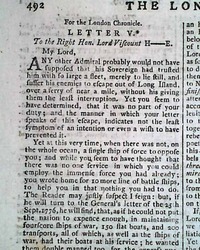 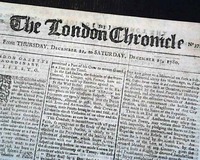 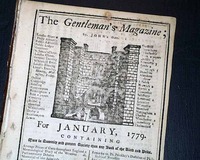 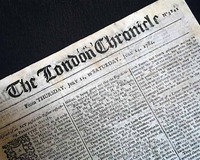 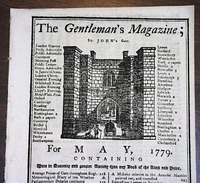 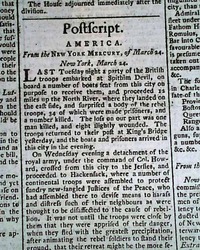 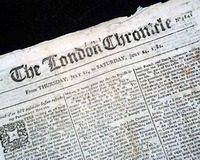 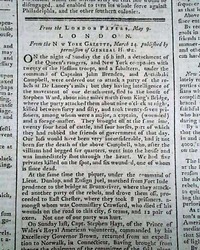 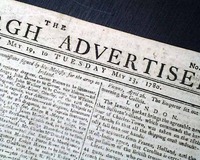 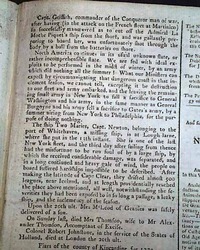 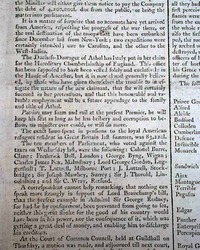 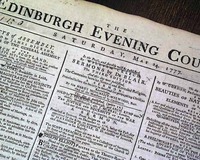 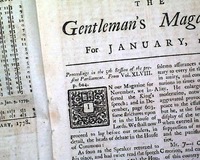 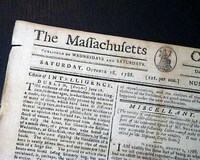 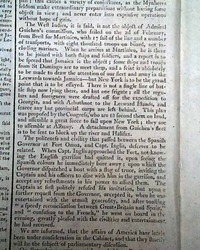 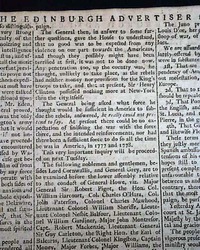 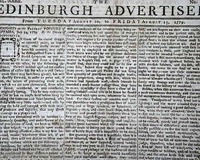 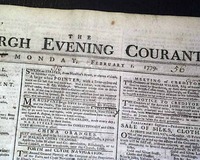 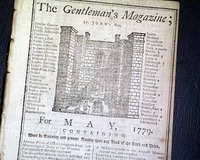 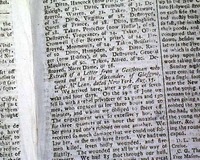 THE LONDON CHRONICLE, England, May 23, 1780 Page 2 includes a report that: "...certainly various accounts in tow from very respectable quarters, all of which confirm Sir Henry Clinton's taking Charlestown [Charleston] by storm on the 7th of April after a great slaughter on both sides..." (see).